Sarah is passionate about covering big mountain terrain on a relatively quick schedule. 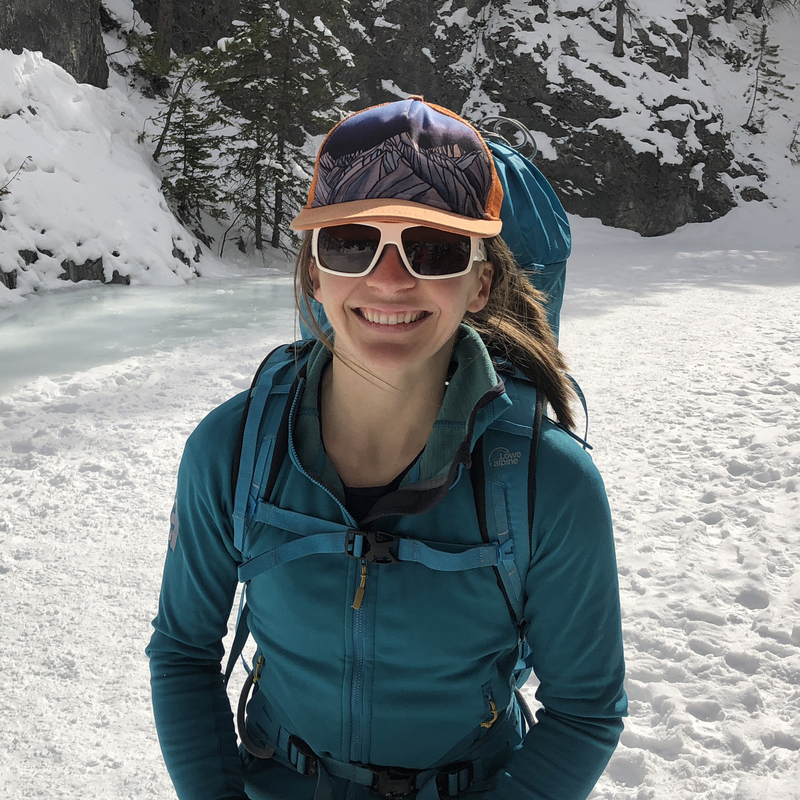 Over the past few years, Sarah has expanded her first love of rock climbing to include training which enables her to excel on ice, snow, glaciers, and big trail runs. This has translated into an ability to combine the mediums in order to access bigger alpine terrain. Sarah grew up in a small town in Northern California, and was introduced to the outdoors at a very young age, but didn’t technically learn to climb until she was at college north of the Bay Area. This resulted in a rapid obsession with the sport, despite recalling that she had “never been so bad at something without feeling discouraged. I was convinced from my first uncoordinated attempt at 5.6 that I would become a climber.” Sarah spent most of her first couple of years learning to climb at the local climbing gym and taking as many trips as possible to places like Bishop, Tahoe, Joshua Tree, Red Rocks, and Yosemite. After transforming her lifestyle through climbing for a few years in CA, the opportunity arose to move to Salt Lake City, UT to attend graduate school at the University of Utah. Sarah also saw this as a good way to expand her climbing horizons. Since moving to Salt Lake City, Sarah has enjoyed the more immediate access to rocks in her backyard, and has found a big passion for winter alpine climbing. In the last year and a half, Sarah has discovered that long distance trail running is also a great way to travel through and learn about her new home (and keep her dog Makalu involved in all of the fun). For some climbers, diversity isn’t considered a helpful thing. Sarah thinks that it is the key to keeping her motivation for trying hard at an all-time high. When Sarah isn’t climbing or running, she is working with her husband Nate to manage their company, the MED Alliance (MED). She is also passionate about teaching, cooking, gardening, and spending as much time as possible with Makalu.